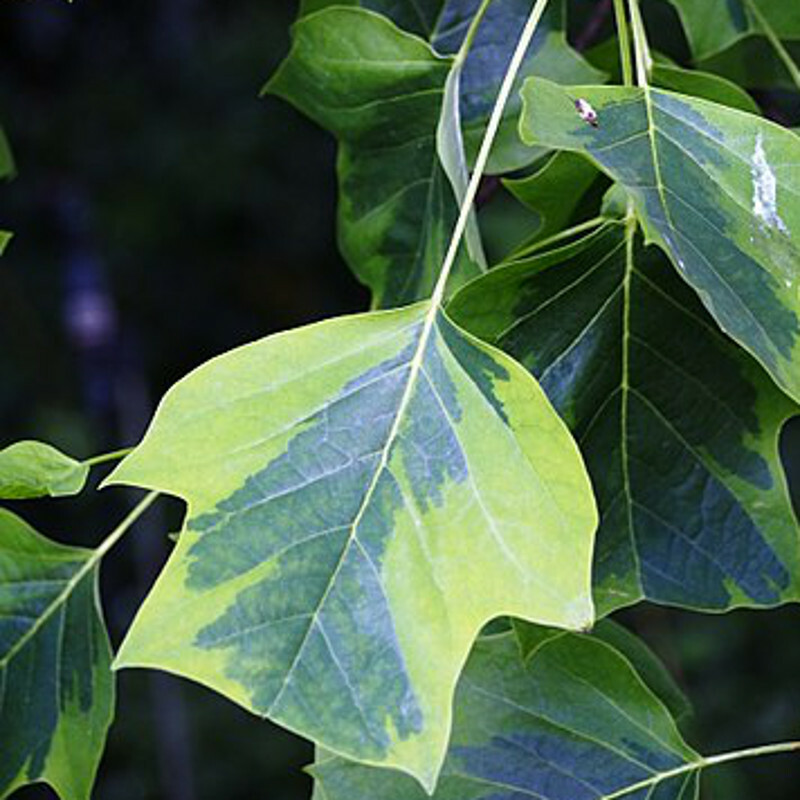 An interesting form of the deciduous Tulip tree, Liriodendron tulipifera Aureomarginatum has interesting and pretty leaves that are bordered with bright yellow turning a greenish-yellow in Summer and maintain strong Autumnal interest. Expect the bees and other wildlife to be very happy you planted this tree as they will be regular visitors. Oblong, cone-shaped fruits follow the flowers (June-July), each with winged seeds. This Tulip tree is so interesting, it convinced the RHS to give it an award and makes an excellent choice for public ornamental gardens or such spaces. Aureomarginatum Tulip trees are frost tolerant down to minus 20 degrees centigrade unless you happen to have a tree hat and glove then maybe a little more and are not as fast growing as some other Tulip trees but still a vigorous tree when comparing generally. A large height tree, so expect a height of over 6 metres (20 foot) after 10 years but could go on to grow considerably more. Local weather and soil conditions will dictate final height. Expect the spread to be roughly 2/3rds the height of the tree, so if yours makes it to 30m tall, the spread will be 20m. A columnar shape with an absence of lower branches and the shallow root system may limit plant growth within the drip line. A good choice as a shade tree although waiting for the flowers to arrive could be time consuming, around 7 years or more. Plant in full sun or partial shade, preferably acidic soil but will tolerate chalk, choose a well draining site with rich soil if possible. When young, regular watering in very hot weather is better than sporadic drownings. Once well established the Aureomarginatum will tolerate drought better. The Aureomarginatum generally requires little or no pruning although a light occasional prune will promote new growth. Take out any diseased, dead or crossing over branches. 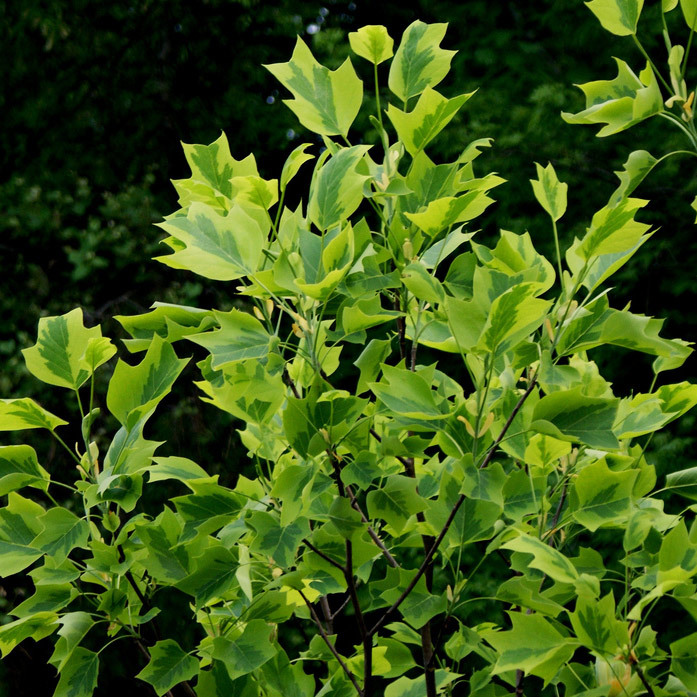 This tree is supplied at a height of 1.50-2.2 metres in a 7 litre container for year round planting and less failure rate than from either bare-root or rootballed stock.